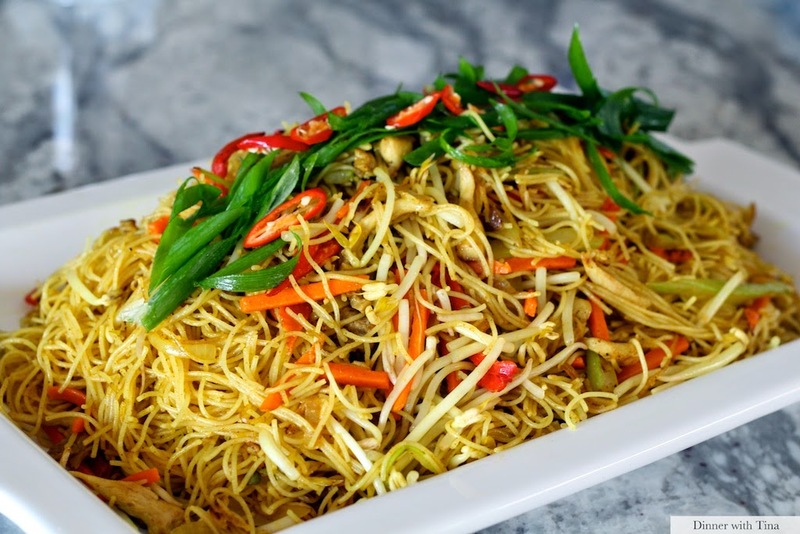 Here is an incredibly tasty noodle dish that is dairy and gluten free. It is so quick to cook so if you are pressed for time, prepare and cut the vegetables the day before so once dinner time approaches, you can have dinner on your family table in less than 10 minutes! You can substitute any meat with these noodles, or eliminate them completely for a vegetarian version (just skip the third step). You can add any vegetables you want too although I love the celery and carrots here as it provides some nice crunch. - Add in curry powder, oyster sauce, fish sauce, water and vegetables. Stir fry ingredients for about 3-4 minutes (I use a wok spatula and chopsticks) then add in the cooked meat. Mix well. 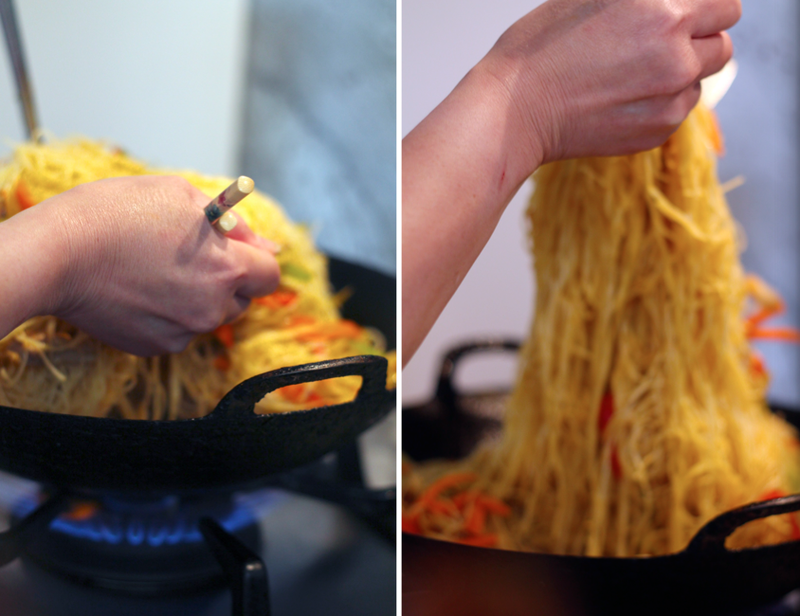 - Pour noodles into a serving dish, garnish with spring onions and chilli and enjoy!